Everything is possible, the vision is activated, and the divine timing is NOW One. Drink in the music of life swirling in your thirsty ears. The final conclusion for the Empowerment Course– we made it! Many huge blessings and manifestations have come about through this process of transformation, and I’m deeply grateful to all of you for taking the journey. As we come to a close, I encourage you to review this material over and over again. It is so deeply rich that more will be gained with every reading. These powerful principles are guaranteed to be the gifts that keep on giving. Enjoy the videos many times as well. From every new perspective, comes a new vantage point. Even after 15 years of intensive studies, I find myself astonished when listening to or reading these teachings- there is always some hidden gem waiting to be (re)discovered. LET’S STAY CONNECTED: I also have many opportunities to continue on with the practices if your desire is to deepen or have one-on-one experiences with me. My website offers a wealth of knowledge as well as other online courses, coaching sessions, advanced body therapy, nutritional support, cleanses, meditations and much much more. Go to www.zenhealyng.com to learn more or book a private session. I would also cherish your feedback if you feel so inclined. Although I find so much satisfaction in offering these practices from my heart, hearing from you, learning about your experiences, and how these teachings have affected you makes my job so worth while! So please, let’s stay connected and be in touch. I look forward to continuing this journey towards our greatness together. EMPOWERMENT MEDITATION SERIES AVAILABLE FOR DOWNLOAD! Here’s an opportunity to have all the meditations from the course available to you for your continued practice (downloadable as mp3/mp4 files). There are six meditations in each series (plus a bonus track), download them today for just $25 per series! I am moved by the depth of information that flows through me constantly, gently guiding me, nudging me forward into the great unknown towards liberation and self-empowerment. As I continue to receive this guidance, I am honored to share it with you. In reference to the above topic of probable choice and simultaneous time, I will share with you, to the best of my literary abilities, an interpretation of the vision I am given. Spirit speaks to me in visions and pictures, not just words, so translation can sometimes be a little tricky. As I understand it, simultaneous time means everything is happening at once, similar to parallel living. So in this moment, if we could imagine another dimension opening up outside of time, and we could rise above ourselves and see a bunch of straight lines below us, those lines would represent our concurrent lives playing out in front of us. If we pictured ourselves as a ball hovering above these lines, we could see how we could bounce in and out of different lives, creating what we call our reality. Therefore, this is a way of chronologically defining our experiences, and creating linear time. Now, if we get back into this dimension we are actually experiencing, it’s challenging to see the ball bouncing while you’re in it. So we have another concept we call vibration or frequency. This is how our thoughts, words, and deeds are creating our reality. 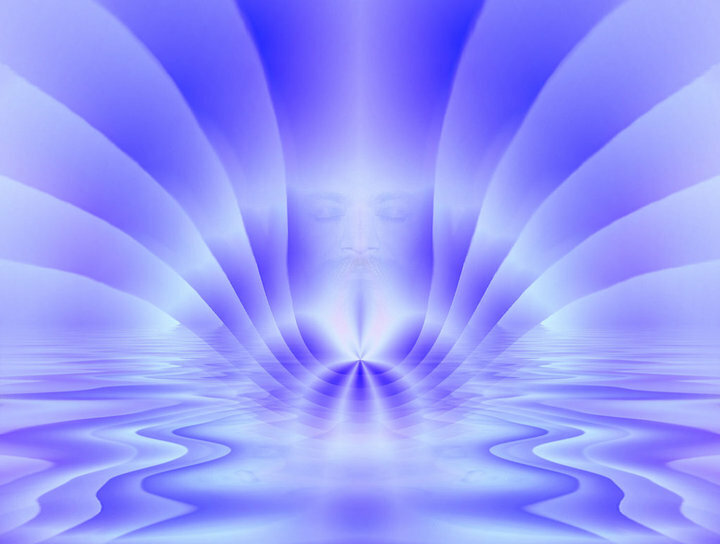 It is based on the vibrational match that we make with the reality we are resonating with. In other words, if we can grasp the idea that everything is occurring simultaneously, and that there are infinite possibilities to choose from, then we are choosing based on our vibrational coherence with that particular reality at any given moment. Everything has a vibrational signature, and based on Law of Attraction, which is simply defined as like attracts like, we are magnetized towards the things we think, feel, and talk about, while we repel the things we are not in tune with. Although all things, including you, have a unique frequency signature, there are distinctly two different vibrational modes that we are playing with at this time; one is the frequency of love, while the other is fear. These two distinct fields set up a large part of our choice or flavor of reality we are participating in. The multitude of possibilities become similar in nature when we choose consistently between one of these worlds. When we choose the world of love through our vibration, we harmonize with the higher intelligence that comes through the heart chakra, which holds the highest, purest vibration of no opposites. This state of being has the values of compassion, benevolence, peace, joy, forgiveness, happiness, grace, and ease. Depending upon the details of our thoughts and feelings, we’ll find ourselves in that version of reality we are a vibrational match to. When fear is our predominant state, then we limit our perceptions to the mental realms of dualistic, pessimistic thinking. This reality consists of destructive wave patterns that create disharmony, disease, illness, war, separation, hatred, and harm. By definition we choose which reality we are aligning with based on our vibration. Our vibration is determined by the quality of our thoughts, feelings, beliefs, expectations, and actions. Most of this is actually chosen unconsciously through our conditioning and programming, so it is not really chosen at all, it is simply the energy that is perpetuating through genetic imprinting and modeling old behavior patterns. Therefore, we find ourselves reliving the past over and over again. As we wake up to our power of choice and our ability to discern what it is we consciously want to create, we take back our responsibility to be happy, healthy, and free. So, now we understand there are really only two major vibrational realities to choose from in this Earth plane game: Love and Fear. Most of us, on this path to awakening and self-awareness, spend most of our days bouncing back and forth between these two realities as thoughts and feelings of both come flooding into our experience moment by moment. As we become more aware of our thinking and refine our conscious mind, we can consistently choose the thoughts that feel good– that align us with love, peace, and joy; therefore, consistently placing us in a version of reality that creates more miraculous, empowering and enlightening experiences. As we move into these stupendous times of change, our choices have greater impact on the reality we see. We receive almost instant feedback from our choices. If we continue to let the unconscious programs guide our choices, and only have snippets of consciousness aligned with our capacity to love, we will experience an ever increasingly inconsistent field of existence. We are in exciting times where our conscious choices can be harmonized into a reality where our predominant state is one of love, where we are aligned with the higher intelligence of the heart, and where our thoughts, words, and actions reflect back to us the coherence of our choice to be powerful deliberate creators of our reality. We can consistently tune ourselves in every moment to the safe, healthy, wealthy, and bountiful world we truly want to be living by imagining it into being, by using the power of our intention, and aligning with the best that life has to offer. You are a pioneer preparing a path for a new interpretation of reality– that is how powerful you are! Make a dedication for yourself to utilize this information in your own unique, extraordinary way so you can put it into practice in your day to day life. The only way we can truly heal (and grow) is to practice– every moment of every day– creating a new world through empowered choices! Make a dedication for your practice describing who you are choosing to be in the world and what that looks like on a daily basis. Consider some specific ways you can use the processes given in these lessons that can help you manifest your desires and empower your dreams. Share your answers, insights and ideras with the people in your life– there is power in sharing! Again, it is with great appreciation and deep gratitude that I thank you for being part of this Empowerment Course. My greatest wish is that you have gotten everything you have dreamed of and more… I sincerely hope you have found it empowering, inspiring, and uplifting to practice together. It is time to activate your imagination, to clarify your intentions, focus your energy, take action, and expect results. Expand your field of possibilities and TRUST your power within the scheme of existence. ”Awareness is an all-empowering tool for recognizing the failure to acknowledge ignorance. You must learn to TRUST your feelings, and follow your INTUITION, then you will know the TRUTH when you hear it.” — and see that natural BRILLIANCE that resides in each human being. ‎”… Consciousness moves from density to light, where matter is spiritualized, and where it is said that the human spirit arises to instigate a majestic ripple of inspiration and healing, which will ultimately transmit the frequency of heightened spiritual achievement”– to choose compassionate benevolence and peaceful stability. “You must allow yourself the inherent luxury of loving yourself by opening your heart and feeling gratitude for all you have created.” — Count your blessings, receive the gifts, acknowledge your progress, and allow the transformation of your consciousness. Your happiness does not depend on what others do, but only upon your own vibrational balance and connection. For when you are in a state of joy, happiness, or appreciation, you are fully connected to the Stream of pure, positive Source Energy that is who you truly are. Reach for the best feeling thought you can find. This week’s guided meditation gives greater clarity and insight around the theme of forgiveness as well as staying in your own place of happiness, no matter what anyone else is doing. (This meditation is inspired by the work of Melchizedek, “Living in the Heart” book).